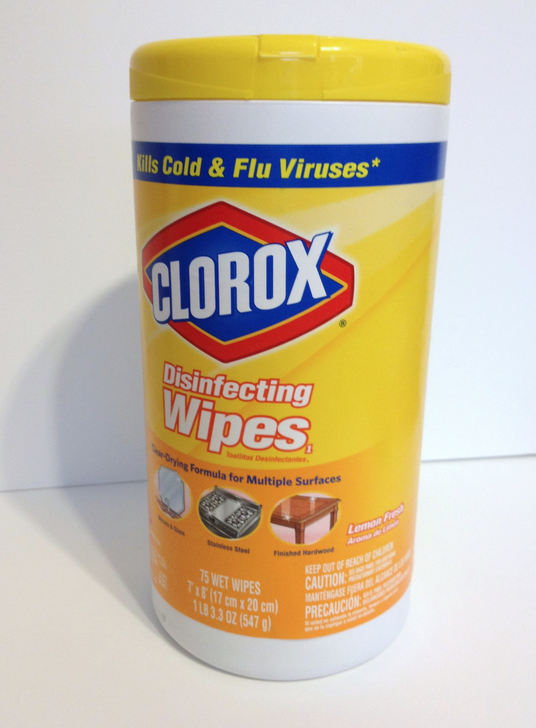 Part of our supply list at school are antibacterial wipes - each year students bring in 3-4 of these containers to help keep our classroom clean. It's great! However, when the container is empty the hoarder teacher in me hated to throw it away. So I saved them.... Soon I had a small stash of them. Eventually I had to start throwing some away because I had an awful lot but I continue to keep about ten of them. Then last year, as my students were rifling through my basket of string an idea struck me. I HATE how the students would not pull the string from the middle like you are supposed to. And soon I end up with a mess of string where you couldn't find the end that would easily unravel it all. I tried sticking my string in a crate and putting the end of the string through the holes on the side and it still didn't work. One day I decided to grab one of the oversized empty Lysol containers and I stuffed a color of string in there. Voila! It worked! I soon put all my different colors of string in their own container and the students can easily pull the end of the string that they need to be able to get the correct amount. Do you save these containers? What do you do with them? I use them to hold plastic bags (like you get when you buy groceries). It's great to have some around for students to take home projects! You're welcome, Laura! Makes things so much easier. I even recycled an old Enfamil container for my colored pencils. Do you sell the template for your labels anywhere? Thanks for the ideas! In some storage places, access to units is only available during open hours which might make it less appropriate for some, but it's quintessential for safety and security in the building.